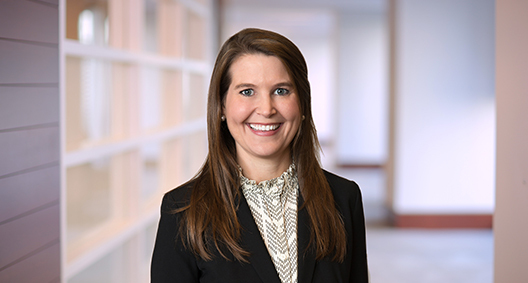 Kristin Gerety focuses her practice on complex commercial and business litigation, with a concentration on oil and gas litigation and energy-related matters. A trusted advocate, Kristin is competitive when necessary and pursues creative solutions that align with her clients' long-term business goals. Represented drilling contractor in dispute over IADC Daywork Drilling Contract. Performed extensive research and drafted dispositive motions pertaining to choice-of-law and indemnification. Resulted in application of the law most favorable to client and enforcement of operator's indemnification obligations. Represented oil and gas operator in suit concerning significant personal injury on the worksite. Through a series of motions, obtained quick dismissal and severance of all claims against client, thus avoiding unnecessary litigation costs and exposure. Represented manufacturer of jetways in federal court litigation concerning products liability, negligence, and breach of warranty claims. Drafted dispositive motion that resulted in dismissal of all claims against client without the need for oral argument. Represented client through the Houston Volunteer Lawyers Program to efficiently probate an estate with multiple beneficiaries, one of whom had been deported to Mexico. Prevented impending foreclosure on client's home. As part of the Houston Volunteer Lawyers Program, assisted various clients by drafting probate and estate planning documents.